This page explains the Prime Design Mark and provides insights on how to obtain it. Prime Design Mark is a symbol on products & product packages that communicates the intrinsic design value embedded within designs. The Prime Design Mark is a verifiable symbol, making it hard to be used without permission; during verification process the image of the verified product is shown; this system was designed to ensure that third parties cannot use the Prime Design Mark on product packaging or products without getting marked as invalid. Prime Design Mark is not an endorsement or a certificate of quality or it is not a warranty of any sorts. It indicates original design content within a product, the purpose of the mark is to create an umbrella brand to help public recognize good design that are hidden within the products, especially to communicate the hidden values such as ease of use, in-depth thinking and total product design philosophies that are embedded to product. Prime Design Mark is awarded to products or services that meet a certain level of original design value as well as quality, Prime Design Mark awarded designs should positively differentiate itself from commoditized offerings of other manufacturers. 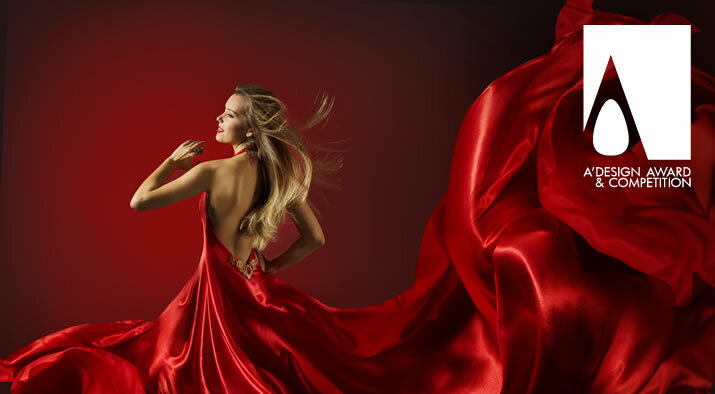 The quality criteria is defined based on the use, form and function of the licensed product. Prime Design Marks are licensed free of charge to products that win the A' Design Award, however obtaining the mark is not automatic; there is a process to follow and the A’ Design Award victory does not grant an automated license to use the mark but it provides an opportunity to apply and use the mark free of charge, if and only if, the application is approved. You can verify if a Prime Design Mark is valid or not by visiting PrimeDesignMark.com for valid marks, the website will not only indicate that the mark is valid but also display the image of the product so that you know for which product the mark is valid for. Application for Prime Design Mark is made through A' Design Award website and the Prime Design Mark is given only to A' Design Award winner designs that are also screened for a physical inspection to check overall material & finishing quality, ergonomic factors, safety and security features, and other factors such as ease of use, packaging quality, documentation or ease of maintenance. The physical checking requirement was especially established to ensure that the products carrying the mark contribute positively towards the global Prime Design Mark brand by being reliable, usable, durable, sustainable, functional, efficient, powerful, aesthetic, in summary superior to other products so that the Prime Design Mark brand value grows positively with each application. Parties who apply to use the Prime Design Mark must also sign a licensing agreement which consists of several parts. The first part is a standard terms and agreement, followed by declaration of conformity which is an affidavit, a verified statement that shows that the manufacturer states that the product conforms with relevant quality and safety standards, a verification and written and dully signed statement that it is under oath or penalty of perjury which could serve as evidence to the Prime Design Mark’s veracity and which could be used for court proceedings. The Prime Design Mark agreement also includes limitation of liability as well as a non-disparagement, indemnification, and several further clauses that govern the Prime Design Mark usage via the license agreement. The Prime Design Mark agreement is available to download by eligible A’ Design Award laureates who wishes to apply to be able to use the mark for their products in market. If you wish to apply to get a Prime Design Mark, please download the Prime Design Mark agreement and application form (available for logged-in award winners only). 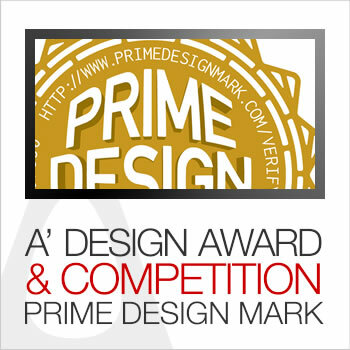 Once you download the Prime Design Mark, fill it two copies, and send it to our address: A’ Design Award, OMC DS. SRL, Via Manara 9, 22100, Como / Italy, together with the product samples which would be inspected physically. It shall kindly be noted that the samples will not be returned regardless of whether a mark is granted or not, and the granting of the mark is at the sole discretion of the award manager or coordinator. If your application is approved, the mark is granted for a 10 year period. The eligibility for Prime Design Mark is as follows: 1) Product must be currently in the market. 2) Product must be mass produced (not valid for unique, one-time, conceptual, limited edition or limited production products), 3) Product must be a winner of the A’ Design Award, 4) Product must be able to pass a physical inspection for overall quality, executed by A’ Design Award officials. 5) Prime Design Mark licensing agreement shall be signed. If you have any questions about the Prime Design Mark, please contact us using our form. Winning the A' Design Award and Competition helps companies positively differentiate their products via the A' Design Award Winner Logo as well as the Prime Design Mark which indicates great design value.